One of the fascinating and fantastic capacities of the human being is in his/her ability to create art out of virtually anything. The evolutionary scheme is partially substantiated by the caveman’s first renderings as he shared his perceptions of life as art. 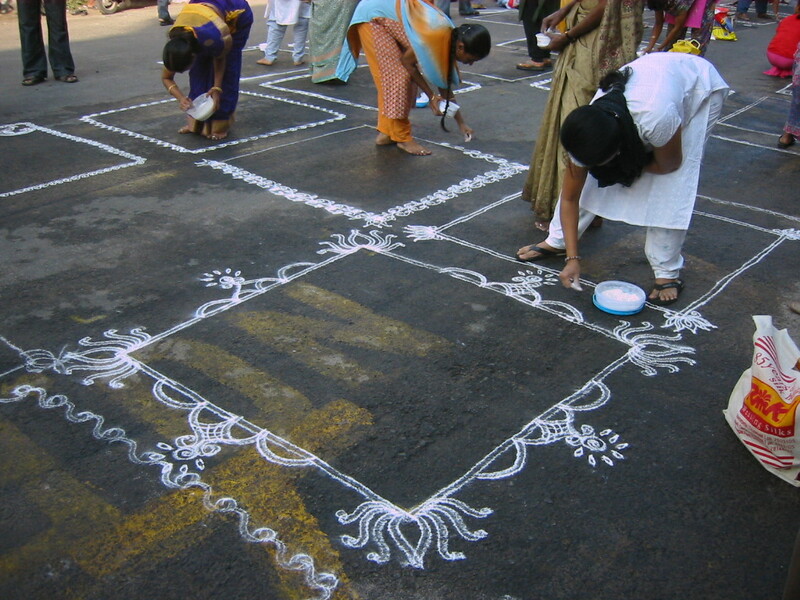 In Southern India among tribal people, the art of the kolam has been developed as a way of blessing and protecting the entrance way to a building or complex. 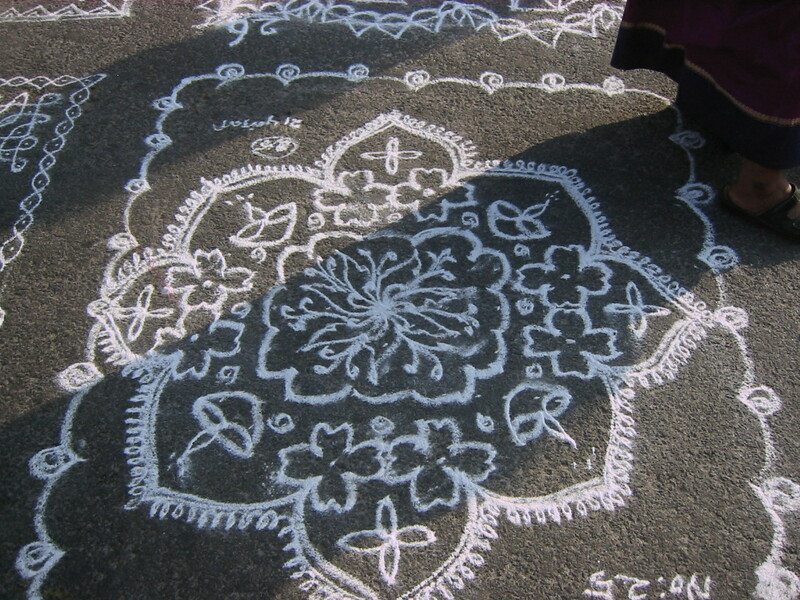 Daily, the kolam is re-designed in an amazing array of variety. 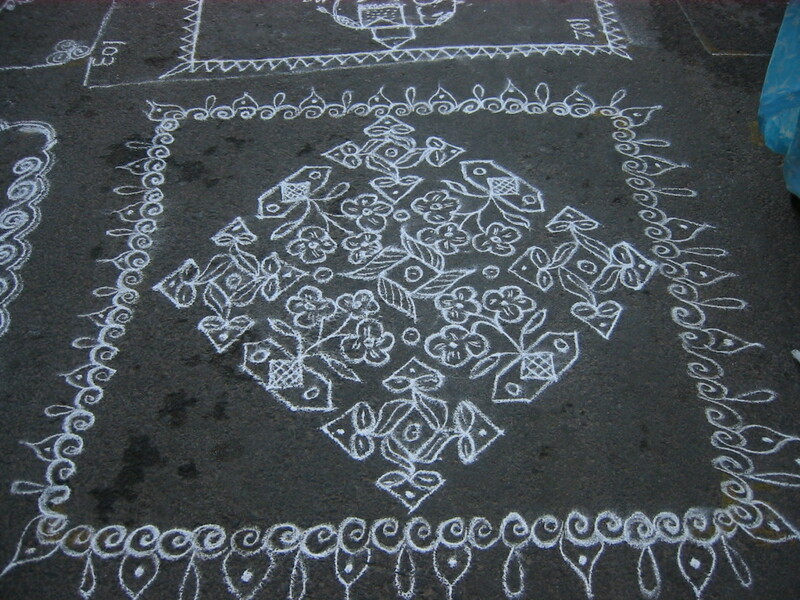 The kolam is usually a pattern of geometric design, often a Yantra, made by sprinkling rice flour between the fingers. 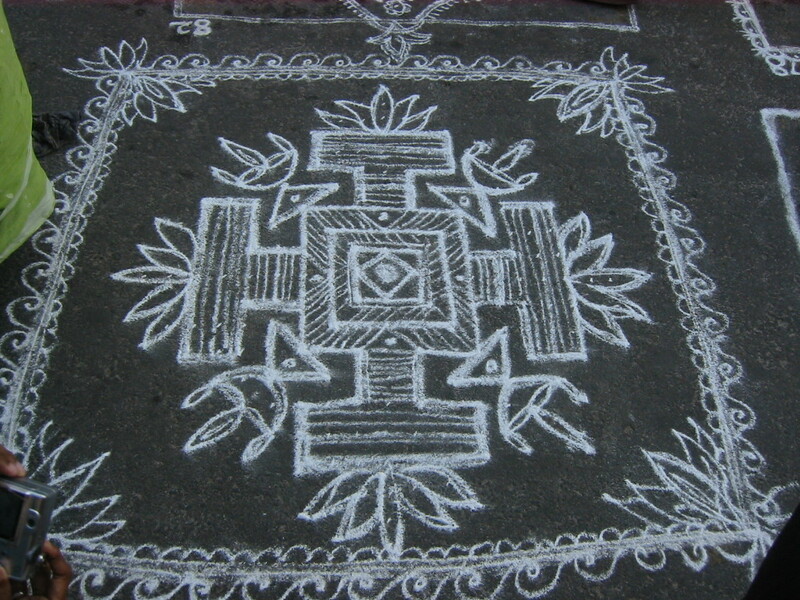 A Yantra is a sacred symbol or geometric pattern thought to embody certain energies. 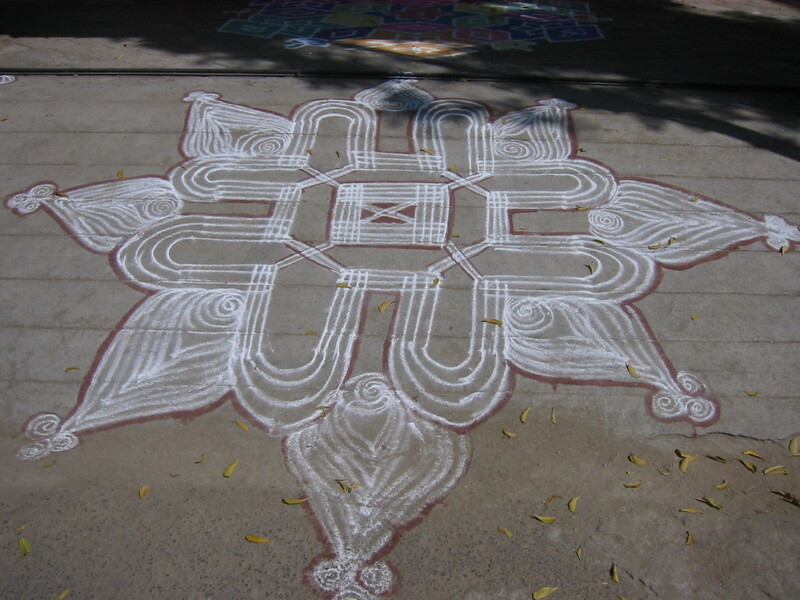 When the Yantra is used as a meditative focal point it is reasonable to assume that the energy of the form can impact the consciousness, aka a visual Mantra. 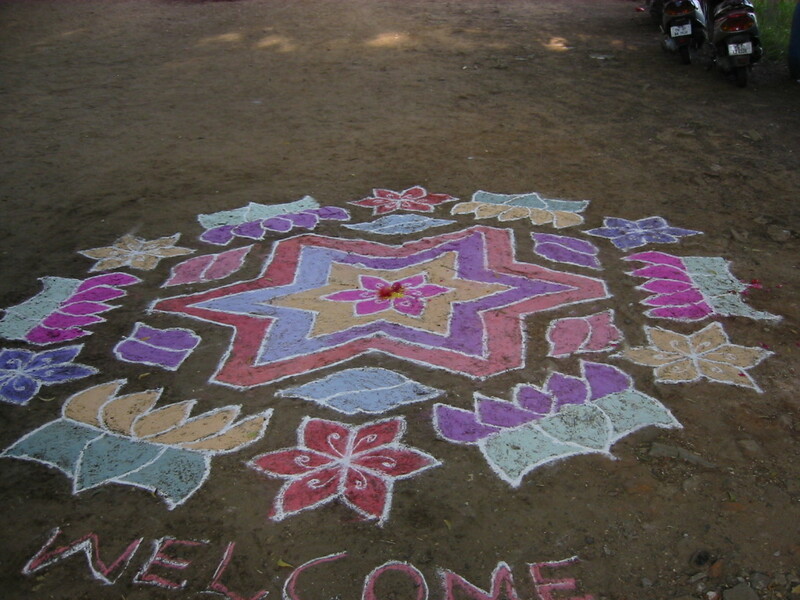 For more information on Yantra and Sacred Geometry, our old friend Google Search can probably provide much insight! 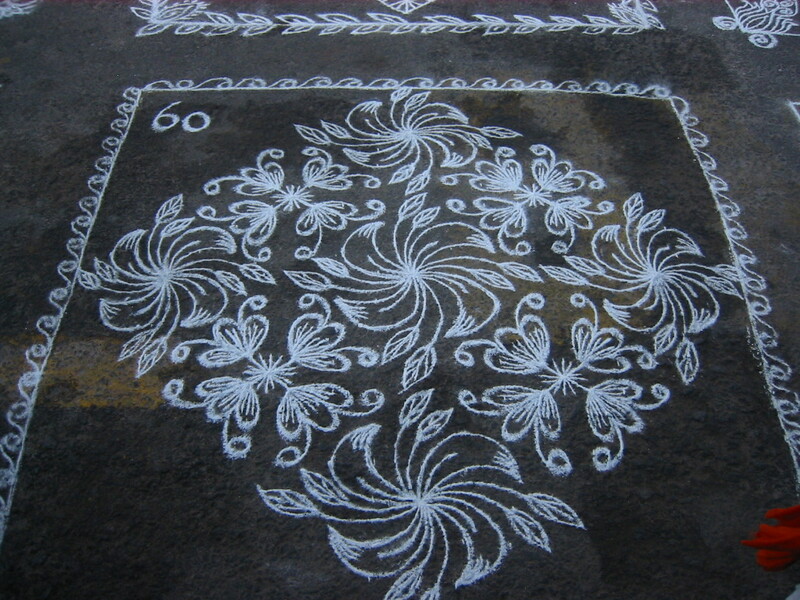 For this post I found myself at a Kolam Contest. 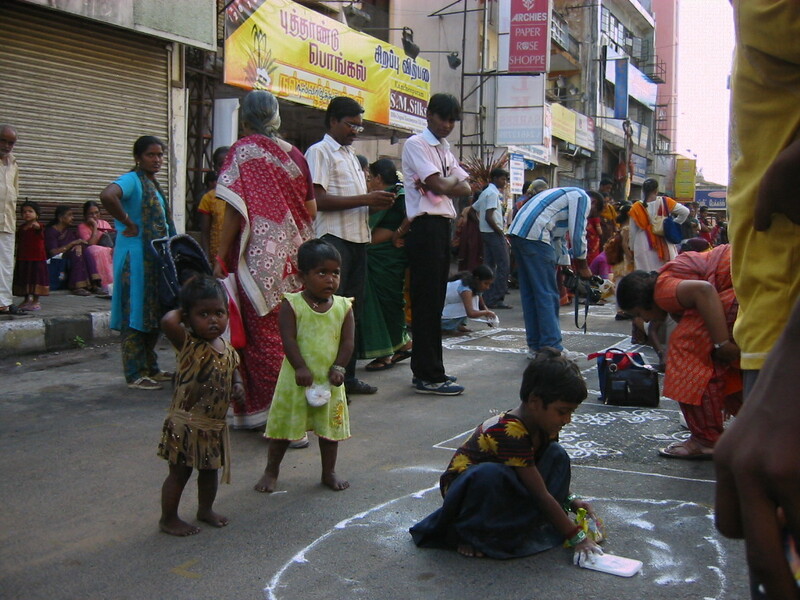 It appears to be a strictly feminine form of creativity as there were no male participants. 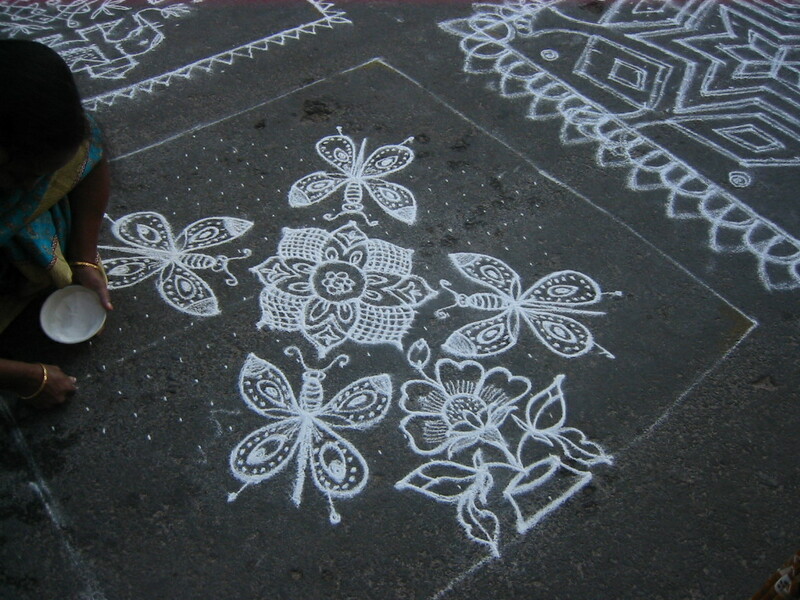 I was truly awed at the expertise of the artists and the variety of the patterns. 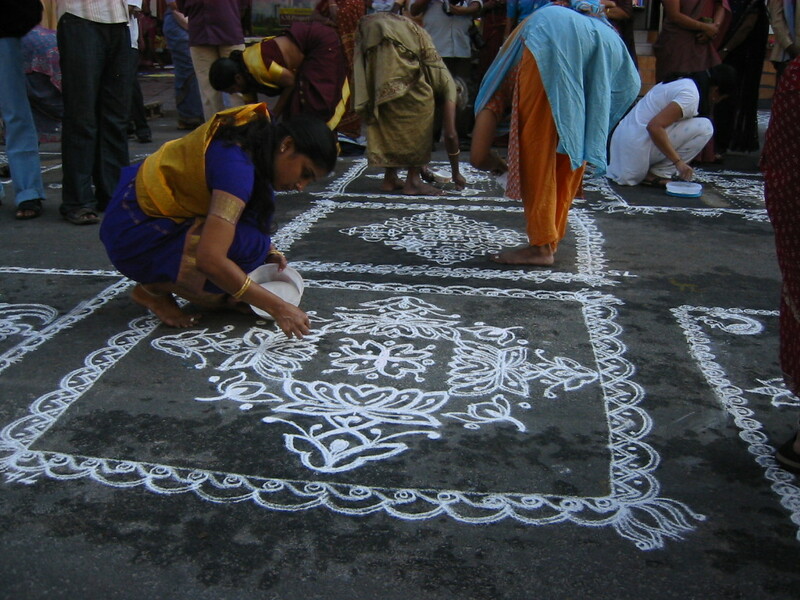 This contest was only using rice powder. 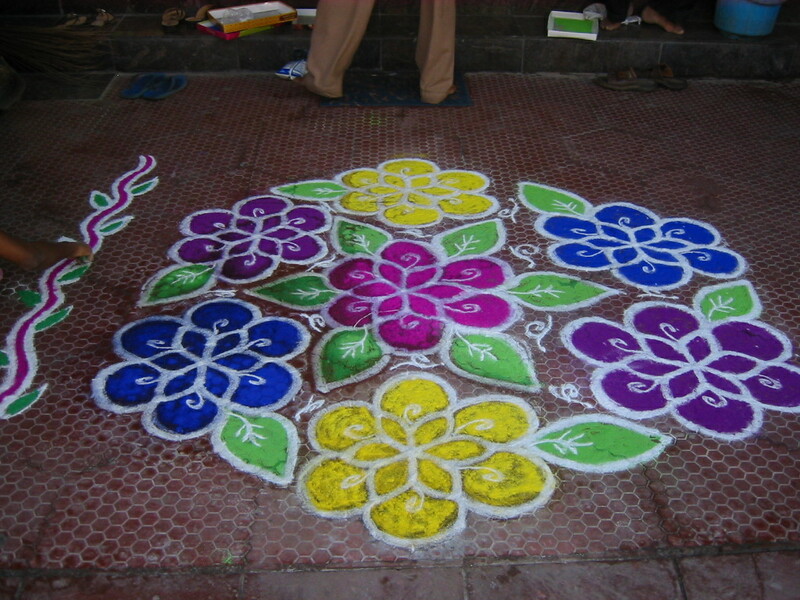 When colors are used the pattern is called a Ratnam and there is an additional element of beauty and complexity. 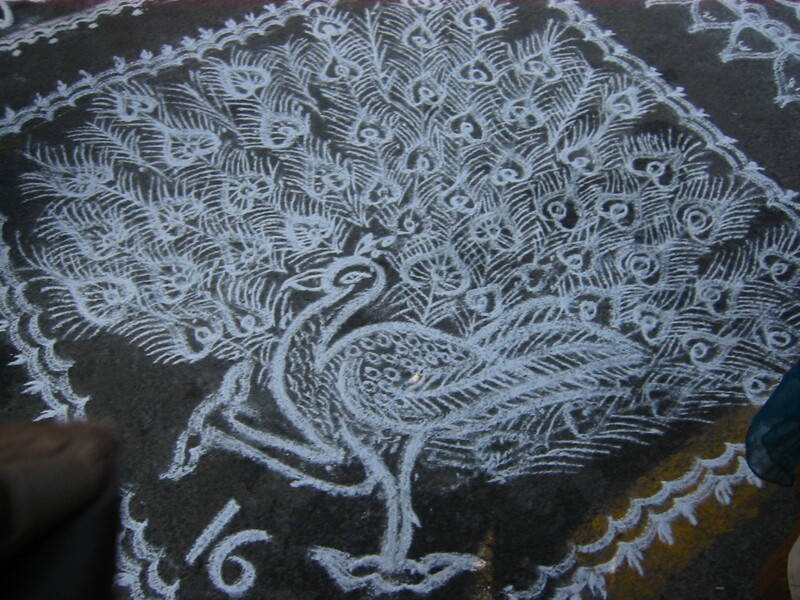 I did not stay for the awards, however I suspect that the peacock placed highly just by way of ingenuity. Which is your favorite?? Can we use our creativity to make art out of life in whatever scenario we find ourselves?? I look forward to your ideas. For a larger view, click back and forth on the images.